Need a little getaway or know someone that does? Katrina, her family and friends did just that in Eau Claire, WI and had a blast! 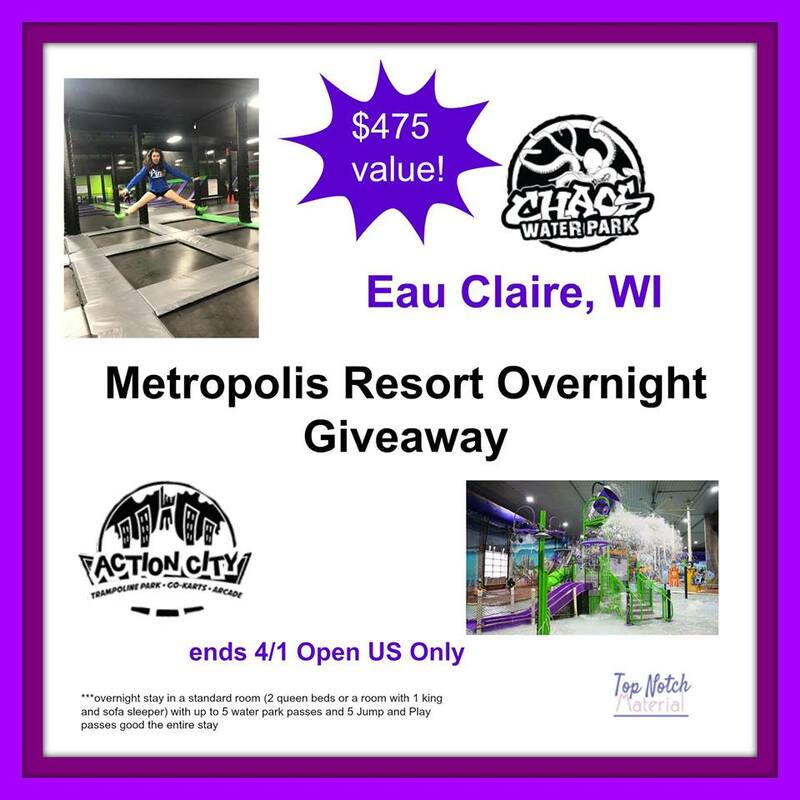 They stayed at the Metropolis Resort which also has a waterpark, trampoline park, and arcade – perfect for everyone in the entire family! Eau Claire is about 1.5 hour from Minneapolis, MN so if you are in the midwest we definitely recommend you check it out. Even better, they are hosting an amazing giveaway – one lucky winner will win an overnight stay. Details are below. Even if you don’t live super close to WI, I would still enter, because you never know if you are going to be near, or you know someone who could use the trip (it’d be a really nice birthday present!). Please follow the giveaway tools below for your chance to win! Giveaway runs from 3/18 to 4/1 at 11:59 pm EST. 18 years and older, US residents only. Winner has 48 hours to reply to the notification email or another winner will be selected. My family would prefer the arcade! Thank you!